The event will bring together top specialist and decision makers from Romania and other European countries, CEOs, entrepreneurs, local and European authorities and representatives of the European Union. 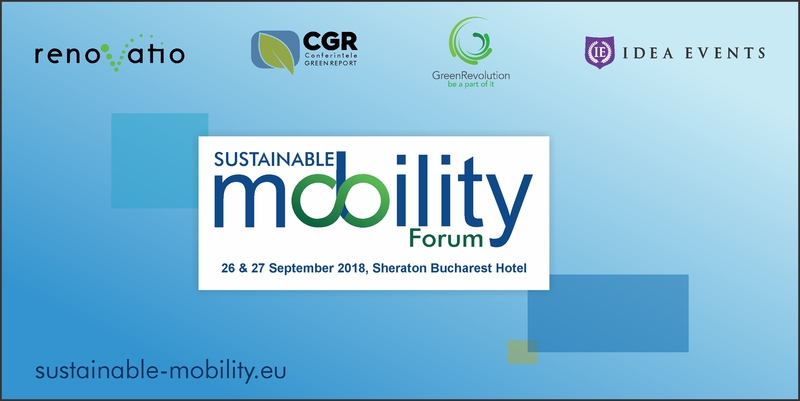 They will discuss the latest topics related to sustainable mobility, present pan-European projects currently being implemented in Romania and other European countries, raise awareness on the importance of driving electric and choosing alternative transport solutions, reducing CO2 emissions and living a more sustainable and conscious life. Discover - Trends, new strategies, and innovations happen all the time. This is your chance to stay up-to-date with them. Get inspired - We have an incredible line up of speakers prepared. It’s your chance to hear and engage with the people that will shape the future of mobility. Decision makers from around the world will deliver their stories, reveal their challenges and share their most valuable insights. Trust us, you will be hearing from the best! Discuss - The future of urban mobility is connected. Discover your future business partners, explore new possibilities and uncover new solutions. It’s also the right chance to meet with colleagues and fellow delegates, make connections, share experiences and create lasting business relationships. Ask the expert - This event is the right to be and a good opportunity to meet the experts that will help you answer your questions and identify the best solutions. We will bring together innovative companies who may just offer exactly the solution your business needs. To register and find out more details about the conference, please visit the event website.